Practically everyone has heard of Internet marketing, and many people are eager to learn more about this lucrative business. Everyone wants to know about Internet marketing. 02:00 – Can fast cars and zero content sell products? 02:51 – Would you like to meet me? 03:17 – Should you sell products, or services? 04:48 – What Google wants from you? Then I even went to get a haircut and they wanted to know about can you sell things online. 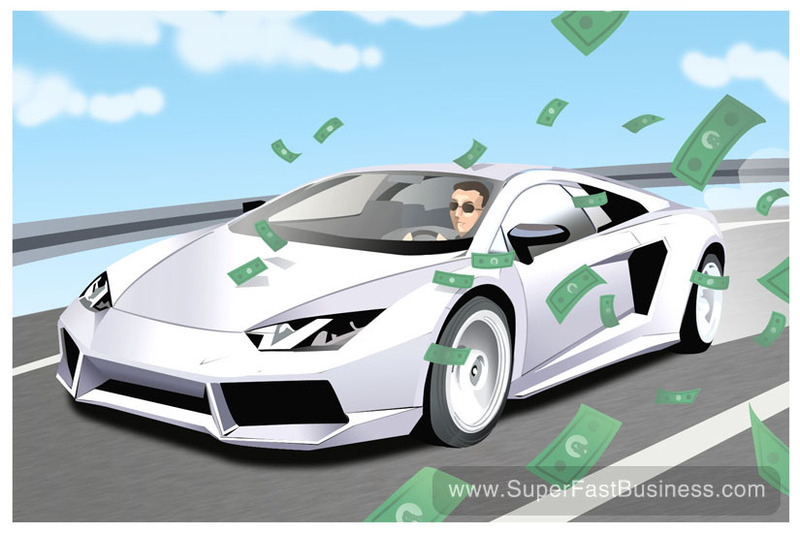 I mean I think we are just entering the exciting phase where internet marketing is absolutely the most incredible skill to have and that’s what we talk about every day inside SuperFastBusiness. I put a new video in there about this particular topic. This week also we put some TrafficGrab 2 modules into the TrafficGrab members’ area, so if you are a member of TrafficGrab or SuperFastBusiness.com, you now have access to direct banner buyer marketing training and Google display network training. These things convert and they work really well and I asked my friend Mike Rhodes to record some training modules and to put them inside TrafficGrab 2. They’re in there right now. I hope you go and have a look at them and implement them with your marketing. It’s one of the most powerful things that you can ever do. Should you get paid first or should you work and then get paid? Well you know my answer, get paid first. We talked about this in SuperFastBusiness. The cash now value is so much more than the cash later so if you can get business and they will pay you upfront, do it. It’s very hard to go and order a couch or a car or whatever without a deposit these days. At the very minimum make sure your deposit is at least equal to the value of your total cost so that you have no debt. But it’s much better to get paid first and that’s the way I prefer to run my business and you can certainly run your business that way if you frame things correctly. That’s what some of the SuperFastBusiness members were asking this week. They saw a new guy putting these ads on Facebook with his Lamborghini and stuff. Is this really an effective business model? Is this what you like? I’m interested in your thoughts. How many cheesy car videos with no content is the market able to put up with? Obviously there’s some money in it but there is absolutely zero content. Is it enough to be sort of half good looking, get some designer furniture, get a picture of a fancy car and entice people into pay to apply for a high priced program? What are your thoughts on this subject? I just observed our members in SuperFastBusiness, they are outraged by it. I guess I’m just sitting there watching their reaction. But why do people still buy with this? I’m just curious on what you think on that subject. Do flashy images without substance make you want to buy stuff? Alright I’m going to be visiting London and Europe and the United States. If you’re going to I Love Marketing in Phoenix, I’d love to see you there. If you’re going to be in Europe or London later on in October, then the SuperFastBusiness.com memberships has local meet ups so pop in there and just let me know where you are so that I can see if I can visit you. We’ve got a nice little meet-up organized in London as well at the end of October. Should you sell products or should you sell services? Ideally you sell both and they can quite often go hand in hand. I mean if you look at SuperFastBusiness.com, it is a service where I’m coaching people every day but it’s also a product where I create pre-recorded information. Things like TrafficGrab and I put them inside there. So it’s both an information product and a coaching service in one. So you can actually fit them together. I also have just products and I also have just services like the SEO service. So I suggest look at the do-it-yourself, look at the done-for-you, look at whether you want physical or digital, whether you’re servicing business to customer or business to business type market. There’s so many different ways that you can cut this up. But ideally find a way to wrap what it is that you’re good at, what you want to make some money from, where you can be different from everyone else in the market, where you can reach customers and just start with the first one and build that and see where the customer demand and the customer hunger takes you. Typically products are a little more leveraged because you can create them and then they sell automatically for you while you’re not there. Typically services are a little bit more people intensive just because they are a service. But if you’re a middle man then you don’t actually have to supply the service and you don’t even have to sell the service. You can have affiliates doing that. So there are ways to do that. I went into this in more detail inside SuperFastBusiness go and check out that discussion. I’m going to give you an SEO tip. Google, what do they want? I think they want you to forget about page rank. They want you to forget about anchor text links. They want you to be relevant. They want fresh content. They’re especially on the hunt for too many anchor text links all at ones so make sure you’re getting quality links from relevant places. I call this connections and I mention this in my recent SEO news update. I think that was a really important update. I’ve had some great feedback on it. I think you should go and have a look at that here. I hope you’ve enjoyed this episode. I’ll catch up with you next week. You stated at the beginning that you actually paid for a haircut? I believe a lot of ads like the fast car no content ad will get attention. It is the follow up that matters the most. hahah Rick – yes they charge a search fee.